I did something the other day that I haven’t done for ages. I spent the morning gazing down my old microscope, separating intact from dodgy Acacia seeds. Like other ecologists, I’ve searched for seeds in different ways. 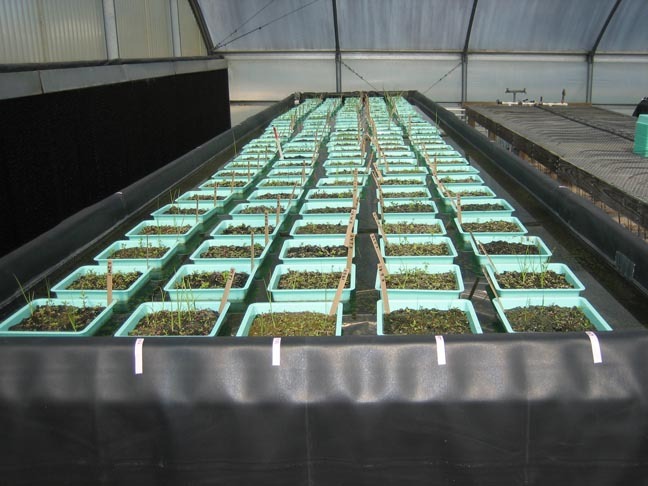 I’ve spread soil samples in glasshouses and counted germinating seedlings. Unfortunately, as Chris and James noted in comments on my last blog, some species have seeds that don’t readily germinate in the glasshouse. I’ve also used a much slower approach. I’ve ditched the glasshouse, got down and dirty, and patiently picked seeds out of the soil, one by one. The problem with this approach is obvious; it can be painfully slow, horrendously boring, and is guaranteed to drive you bonkers. This tedious process does has one big advantage though. In theory at least, it’s possible to recover every single seed, not just those that germinate in the glasshouse. Fortunately, there are short cuts to make the process simpler and more reliable, including flotation techniques, which separate light seeds from heavier soil and stones. Luckily, it’s sometimes possible to pick every single seed out of the soil, using the most basic of techniques, the Beyoncé method: just shake it. If the seeds are big and the soil is sandy, it’s easy to shake everything through a sieve and then inspect the seeds that remain. Which is why I spent hours gazing down the microscope at Acacia seeds. The seeds came from a woodland at Inverleigh near Geelong, where the wattles grow on a sand sheet, perched above the surrounding basalt plains. I didn’t collect the seeds myself. 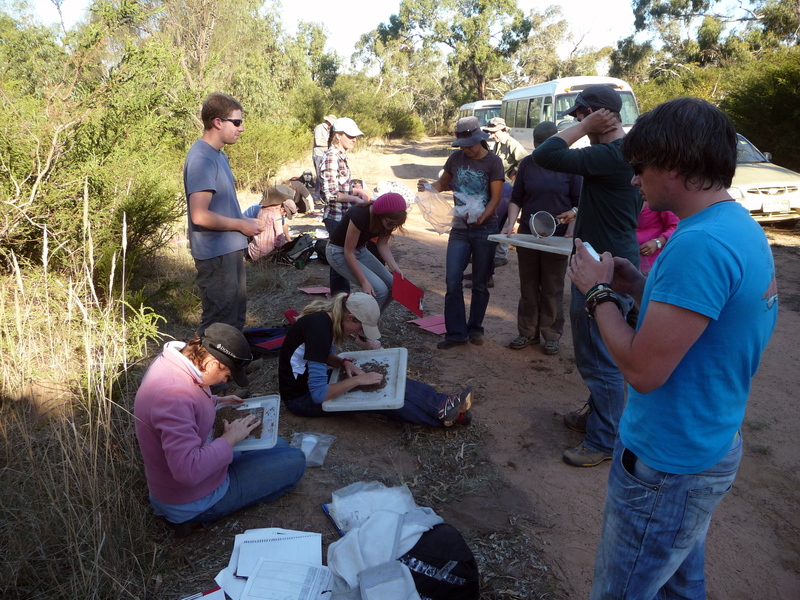 Instead, they were collected by 60 enthusiastic students during a fantastic field trip, as part of a subject I teach. So why dig up wattle seeds at Inverleigh? Inverleigh Nature Conservation Reserve is a fascinating place. At 1,050 hectares, it’s one of the biggest remnants of Plains Grassy Woodland in the region. Most of this threatened ecosystem has been cleared for agriculture. When Europeans arrived in the 1800s, the vegetation was an open grassy woodland. 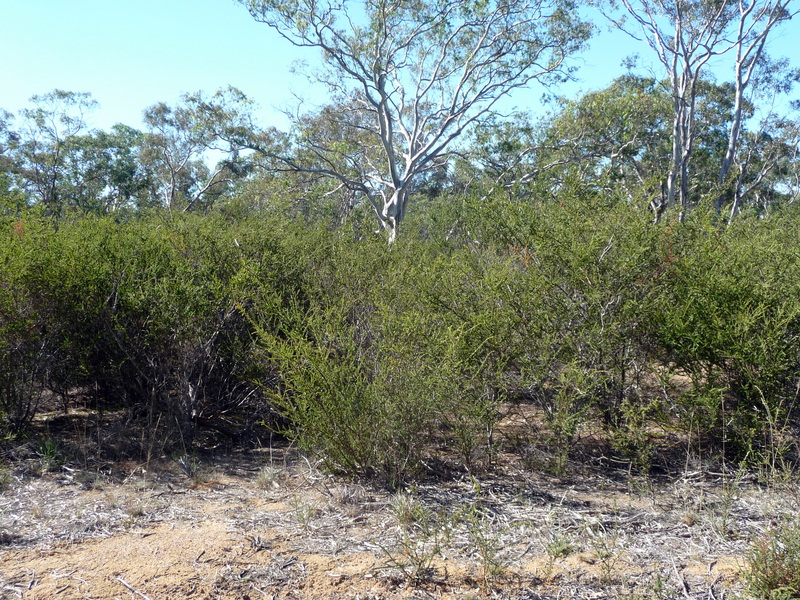 But since the 1970s, an indigenous shrub, Hedge Wattle (or Kangaroo Thorn, Acacia paradoxa) has spread to form large, dense and really prickly thickets over large areas. Julie Franco and John Morgan used old air photos to estimate that Acacia cover increased from 3% of the reserve in 1947 to 42% in 2002, and it’s still increasing. Inverleigh is one of many places in southeast Australia where a native shrub has increased in abundance to change an open, grassy ecosystem to a closed, shrubby one. A dense understorey of Hedge Wattle (Acacia paradoxa) has expanded across Inverleigh Reserve in recent decades. One of the most significant developments in ecological theory over the past century has been the recognition of the irreversibility of many ecosystem changes. Early Clementsian theory portrayed vegetation succession as a predictable, reversible process. By contrast, recent ecologists – fuelled by zillions of examples of damaged ecosystems – highlight that many ‘successional’ changes are extremely difficult to undo. It’s easy to comprehend that many human endeavors are irreversible: get drunk and you can fall into a hole, and sobering up won’t get you out of it. So its surprising that we often view ecosystem changes from a Clementsian perspective, expecting that successional changes can (and should) be easy to reverse. All of which leads to a fascinating and very practical question about vegetation dynamics: how easy is it to reverse the infilling or ‘thickening’ that occurs when native shrubs convert an open grassy ecosystem to a dense shrubby one? Is this change an irreversible, one-way street, or can shrubby woodlands easily be turned back to grassy woodlands? These are some of the questions that the students hope to answer at Inverleigh. Fire is a great tool to alter vegetation structure. If we want to predict how shrubby woodlands will respond to fires, then we need to know how the shrubs regenerate. Does Hedge Wattle form a large soil seed bank, or do the seeds rapidly germinate or decay each year? If plants are burnt, do they die or resprout? Does fire stimulate mass seed germination, or do many seeds remain viable in the soil after the fire? Many Acacia species form large soil seed banks, and seed germination is often promoted by heat, especially by fires. But there’s a lot of variation among species. Seeds of some species rarely germinate without fire, so populations stay stable or decline if fires are absent. Spurwing Wattle (Acacia triptera) seems to behave like this from my observations. By contrast, other Acacia species can germinate, establish and spread in the absence of fire. Golden Wattle (Acacia pycnantha), Cootamundra Wattle (Acacia baileyana) and Hedge Wattle are obvious examples. The sieves in action. Searching for Acacia seeds in the sandy soil samples. Hedge Wattle has spread across 100s of hectares of unburnt woodland at Inverleigh, so seeds can obviously germinate without fires. This raises lots of cool questions. If plants are continually establishing and spreading, does this mean that most seeds germinate each year, depleting the soil seed bank, or do some seeds accumulate in the soil to form a persistent seed bank? Will there be lots more seeds under old shrubs than young shrubs? How far from shrubs do seeds disperse? If we know the answers to these questions, then we are in a good position to predict patterns of seedling regeneration after future fires. In recent years, two large fires burnt different areas at Inverleigh. Both fires killed many Hedge Wattles, but they also killed many of the dominant Eucalyptus trees. Concerns about future vegetation changes led Parks Victoria to invite us to study the fire ecology of these new shrubby woodlands. This practical, real-world issue makes a superb activity for a student field trip. Rather than collect data for a ‘pretend’ homework project, the students’ work contributes to improving a real-world outcome. And with 120 willing hands, it’s possible to collect a lot of great information in a couple of days. It’ll take a while to analyse all of the data that the students collected. But when we do, we’ll have a far better idea about how these infilled shrubby woodlands respond after single fires, and how they might respond to multiple fires in quick succession. 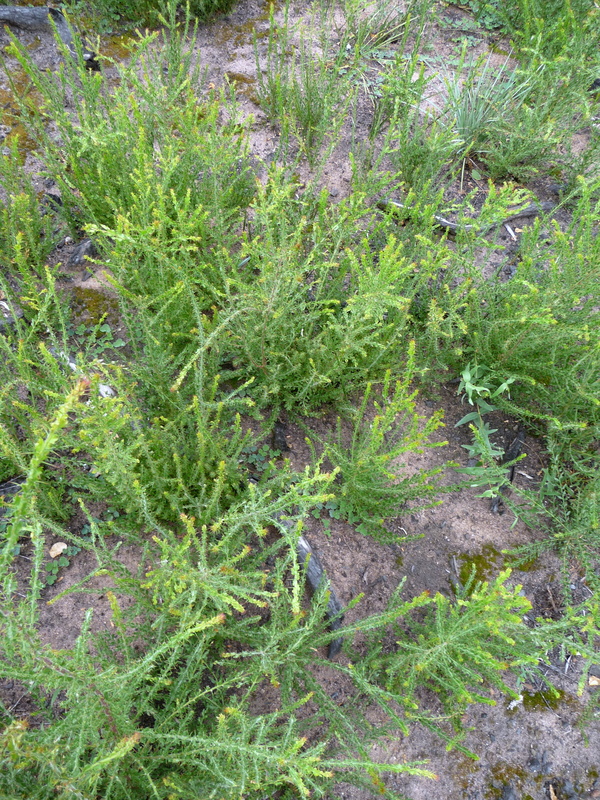 With better information about the ecology of Acacia paradoxa, reserve managers will be able to judge whether shrub encroachment is a reversible phenomenon or a very persistent, entrenched state, from a practical, on-ground perspective. Ultimately, most of this understanding comes from a really simple activity: the Beyoncé method. With a lot of hands, sand, sieves, and big seeds to boot, we can ‘shake it like a Polaroid picture’ to greatly improve our view of the woodlands of the future. I am grateful to Janet Hagen for permission to copy the great photo of Acacia seeds in the header of this post from her Seed Collectors Diary blog site, which is well worth a visit. Franco JA & Morgan JW (2007) Using historical records, aerial photography and dendroecological methods to determine vegetation changes in a grassy woodland since European settlement. Australian Journal of Botany 55, 1-9. Price JN, Wright BR, Gross CL & Whalley W (2010) Comparison of seedling emergence and seed extraction techniques for estimating the composition of soil seed banks. Methods in Ecology and Evolution 1, 151-157. Looking forward to see your rendition of the Beyoncé method during your Plenary at ESA2012! Thanks Kerry, given my physique, it’ll probably look much better as a group activity than a solo event! Hi Ian, with regards to your question: ‘how easy is it to reverse the infilling or ‘thickening’ that occurs when native shrubs convert an open grassy ecosystem to a dense shrubby one?’ I have a question: Why does it matter?. Why would we want to reverse the process? I suppose that’s the first thing that came to my mind when you mentioned the difficulty of reversing some of these processes. Hello Els, that’s a good question. I’m afraid that my answer will probably sound very bureaucratic, but there isn’t any one correct answer, or one appropriate reason, that applies everywhere. In different contexts, a wide variety of different reasons have been proposed for why the thickening process might be reversed. These include promoting the diversity of ground plant (which often declines under thick shrubs), promoting habitat suitability for certain species of plants, animals or birds, promoting habitat variability to create a greater mix of open and closed patches, maintaining a particular habitat structure (such as an open grassland or grassy woodland), re-creating a historical stand structure (e.g. an ‘original’ open woodland), or reducing fire hazard. In other places, managers often try to promote (not reduce) thickening for exactly the same range of reasons. Like all conservation initiatives, the approaches we follow will depend on our management goals, and on the broader landscape context. You mentioned the seeds from Inverleigh were variable in their viability. How did you measure this? I’m thinking visual inspection would show some seeds to be more obviously viable than others, but looks can be decieving and I’m wondering how did you test germinability? Cut test? Tetrazolium? I’m just interested coming from a seed testing background. Also….do you think that maybe the mechanisms for germination change over time, for example, buried seed may require greater/different disturbance to fresh seed because the seed coat is drier and harder? Do you know of any research that has been done on the longterm viability of A. paradoxa seed?